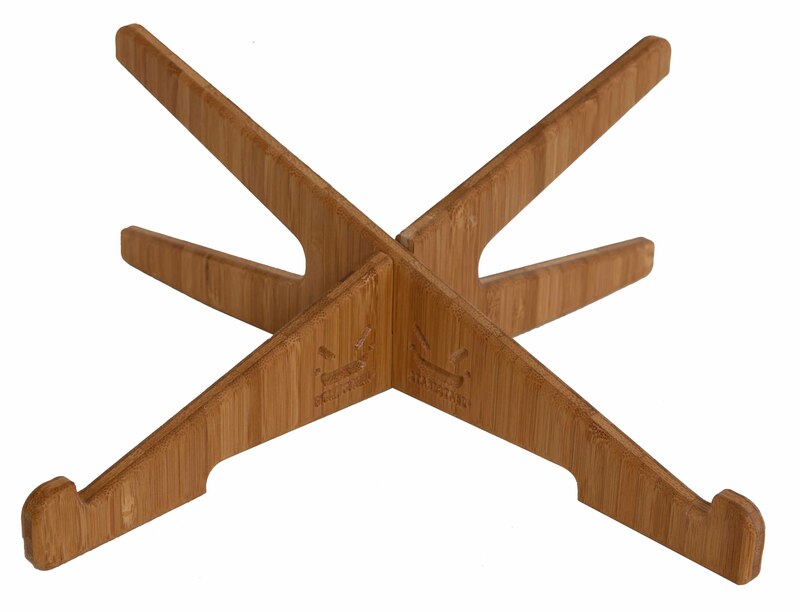 StandStand Angle is a portable laptop stand in natural bamboo that raises your computer screen and angles your keyboard for a more ergonomic experience. StandStand Angle combats the inherent ergonomic flaw of laptops, which strain the neck by forcing us to look so far down. 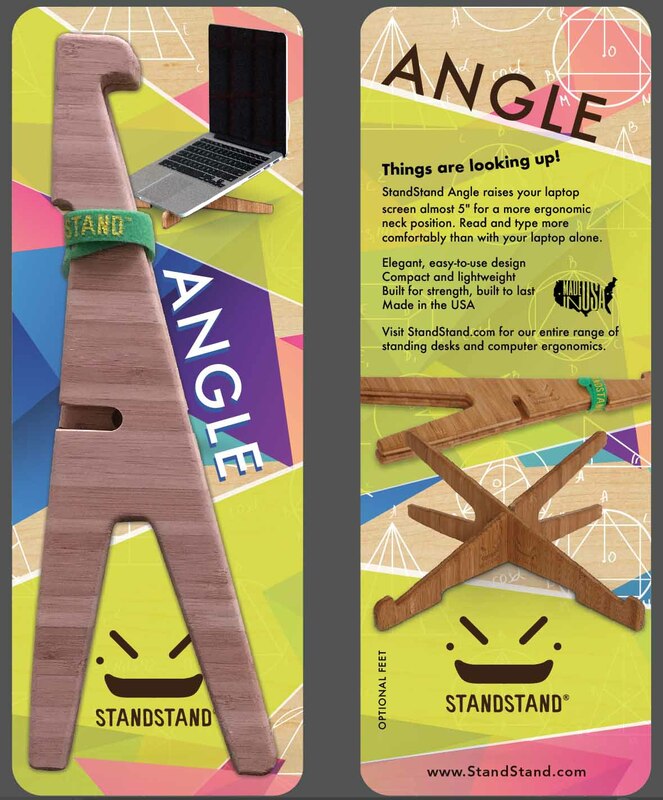 Raise your screen 4-5″ inches with StandStand Angle, and you’ll find life is looking up! 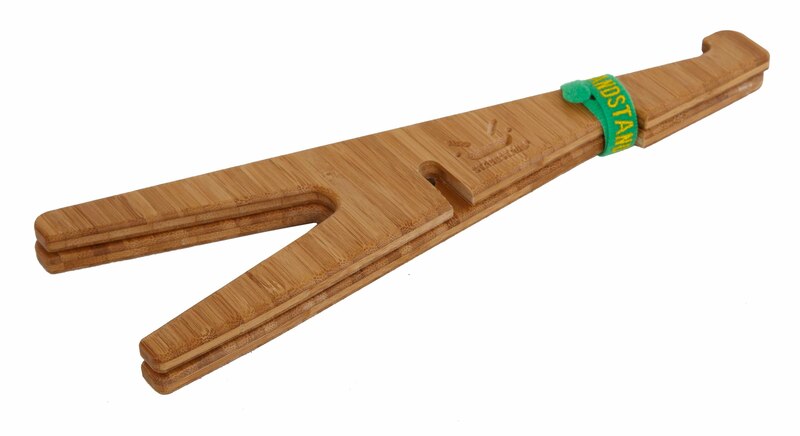 The Angle is made in the USA from premium, environmentally friendly Teragren bamboo, and is sanded smooth to feel as good as it looks. StandStand Angle weighs a mere 6 ounces. When packed flat it is 13″ x 4″ x 3/4″. 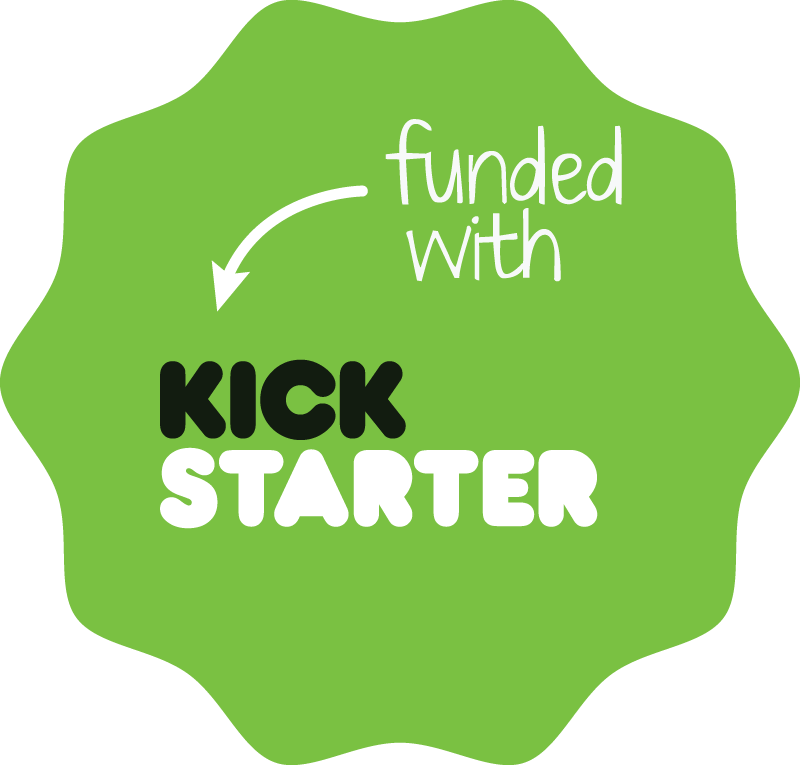 Assembled, it fits in a 9″ square, rising to 4″ in the back. 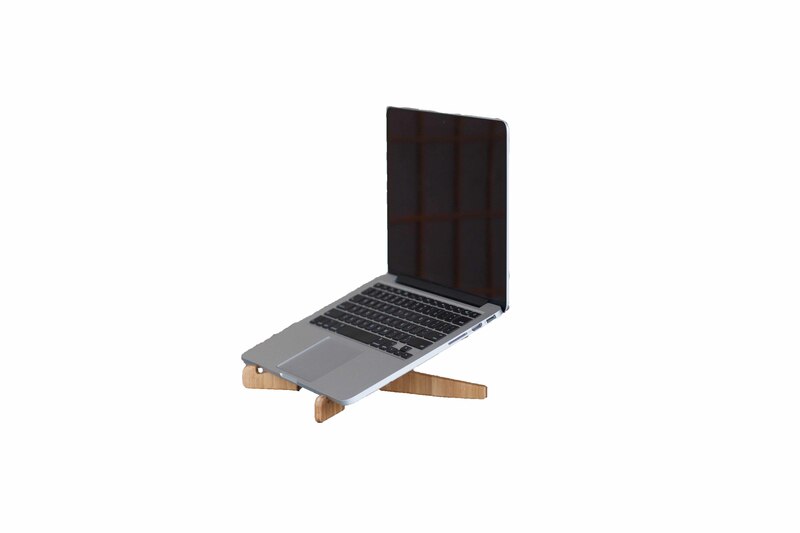 StandStand Angle is designed to work with a wide range of laptops. The Angle wins my vote. I have had to use this in the kitchen and at the dining room table because I keep my cookbooks on my laptop. I am pressed for space and need a way to operate efficiently. Another trouble, as usual, was that the traditional angle of a laptop was killing my wrists and shoulders. I bought this on a lark and did not know what to expect. 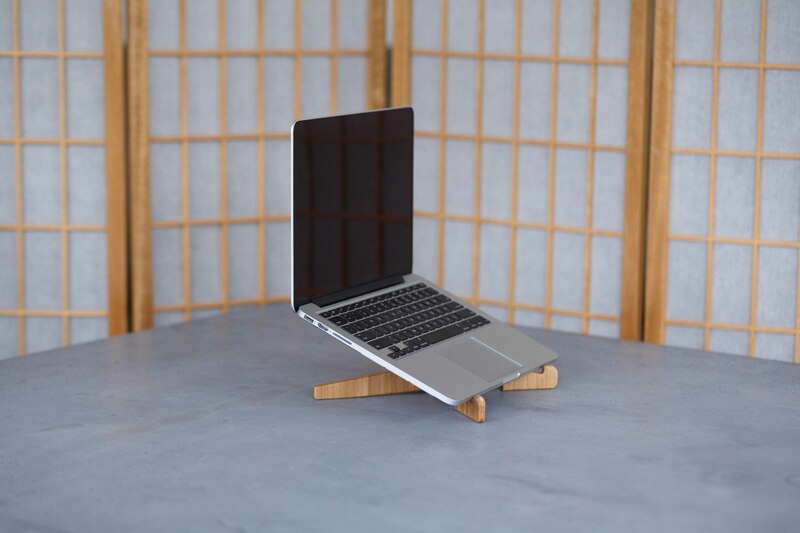 The product has exceeded all of my standards: Wrist Stress is null, the wood is quality and very durable, the product is elegant-looking,and it economizes space. The other day my sister saw me using it. She also uses her laptop in her kitchen. Her first comment was, ” Where did you get that?” followed up by , “Boy I could use that”. I think StandStand has another satisfied customer on their hands. I love this thing! It is literally a perfect thing to elevate my laptop for wrist angle, blah, blah, blah. My son stole it… apparently he thinks so too. ; ) I am getting another.